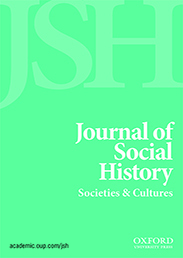 The Music Histories special section from the Journal of Social History demonstrates the existence of a vital social and cultural historiography of music, one that attends to the specificity of music, even as it widens the field of analysis to include its social, political and ideological contexts. A second, related reason for historians’ unwillingness to engage music as a source is a concern that haunts all cultural history and, in fact, much cultural analysis more generally: the problem of reception. We may be able to describe how a given cultural product makes us feel, what meanings we invest in it, but how can we know how audiences in the past responded? Since the great turn to social history in the 1970s, some historians have in fact avoided any analysis of the content of cultural texts; they attend to the conditions of production and distribution as well as to the context of reception while remaining silent about what the object looks or sounds like. But once again, historians have been quicker to overcome this anxiety in the case of film or visual art than in that of music. The stumbling block here may be the obviously somatic quality of music’s impact. Music moves us physically, and those responses are seldom recorded; for earlier time periods, they obviously never were. How, then, do we avoid universalizing our own experience of music? How do we historicize not just aesthetic judgments, but physical responses? Those historians who have made music a central object of their analysis have offered convincing answers to these questions. They have deployed their expertise in more conventional archives to contextualize the music they analyze, recognizing that the problem of musical reception is just a version of the basic problem that attends the analysis of any historical source. In this sense, historians have a great deal of relevant experience in reconstructing the meanings people made in the past. The best historical work attends to the specificity of music even as it widens the field of analysis to include its social, political and ideological contexts. Historically minded musicologists – Derek Scott and Thomas Brothers, for instance – have achieved a similar synthesis, but inevitably historians strike a different balance, foregoing some of the technical, formal analysis, while deepening the contextual work and making the musical sources speak to questions of larger, historiographical significance. The best historical work attends to the specificity of music even as it widens the field of analysis to include its social, political and ideological contexts. The articles in the Music Histories special section of the Journal of Social History offer powerful examples of this sort of music history. In his contribution to the section, Jason McGraw analyzes Jamaican music in postwar Britain, demonstrating the ways Caribbean migrants used music and dance to forge community in the face of endemic racism. Though scholars have written extensively about ska, reggae, and other Jamaican genres, they have typically focused on the achievements of musicians, charting stylistic influences and explicating cases of individual genius. McGraw, by contrast, reveals how audiences confronted the policing of their communal spaces and the racialization of their communities. By charting the production and consumption of music over time, he sheds new light on the mechanics of identity formation in diaspora and on a key aspect of modern British social history. James Millward’s article traces the emergence and development of the sitar within the shifting, transimperial and multicultural terrain of the “silk road.” His account reveals the extent of cultural exchange in the premodern and early modern periods, showing how musicians and instrument makers engaged with changing social, political and economic contexts. By setting a specific musical story within these larger contexts, he is able to engage powerfully with ongoing debates about the history of globalization. Music histories like these do not offer anything as technical as a musicological analysis, yet they treat music as much more than a soundtrack. They delve deeply into the stylistic attributes, technological production and commercial distribution of music, while situating it within broader contexts shaped by migration, empire, and war, as well as by racial, ethnic, and gender hierarchy. And in so doing, they reveal both how rich musical sources and musical stories can be for historians and how much historians have to offer to the study of music. To the extent that social and cultural historians remain interested in how ordinary people exert agency within economic, political and ideological constraints, they ought to venture with less trepidation onto this fertile terrain. Featured image credit: Violin Strings by Providence Doucet. CC0 via Unsplash. Matt Karush is Professor of History at George Mason University and Editor-in-Chief of the Journal of Social History. He has published extensively on Argentine political and cultural history. His most recent book is Musicians in Transit: Argentina and the Globalization of Popular Music (Duke University Press, 2017), winner of a Deems Taylor/Virgil Thomson Award for music writing from the ASCAP Foundation.